Professional version with Powercon compatible In / Out as well as Camloc quick release fasteners! This professional, top-moving, high-performance LED spot is equipped with an extremely bright brand LED and can also convince with its other technical data. 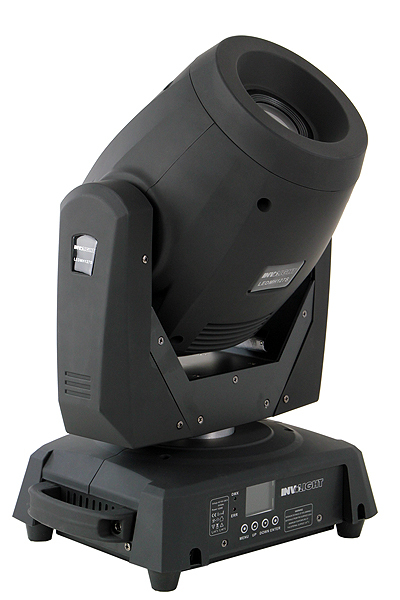 It offers a very strong output with 127 watts LED and is also suitable for large stages. The “LED MH127S” has 8 dichroic colors + white, 7 rotatable gobos + open with switchable shake effect, strobe effect with 0 – 20Hz and an electronic dimmer working from 0 – 100%. Very professional features are the switchable, rotatable 3-facet prism and the motorized Focus. The “LED MH127S” can be controlled via 15 or 19 DMX channels. So you can easily pre-program your own shows via DMX. For simple applications, however, it can also be used in stand-alone mode or in music mode. For this, some great shows are inevitable. We recommend this moving head for both mobile and stationary applications alike. A great product for a reasonable price!